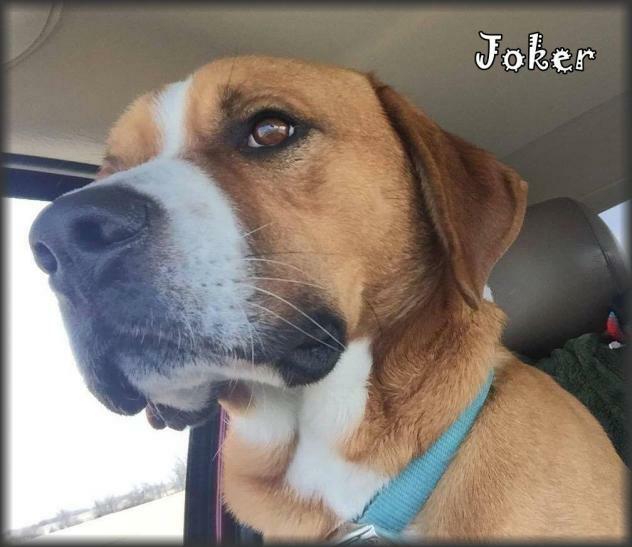 Description: JOKER needs a forever home! This beautiful, big boy was rescued from a high intake, county-run animal control facility in the Ozarks region of Missouri. He wasn't reclaimed after being found as a stray. He is very people oriented & just wants to be wherever you are. 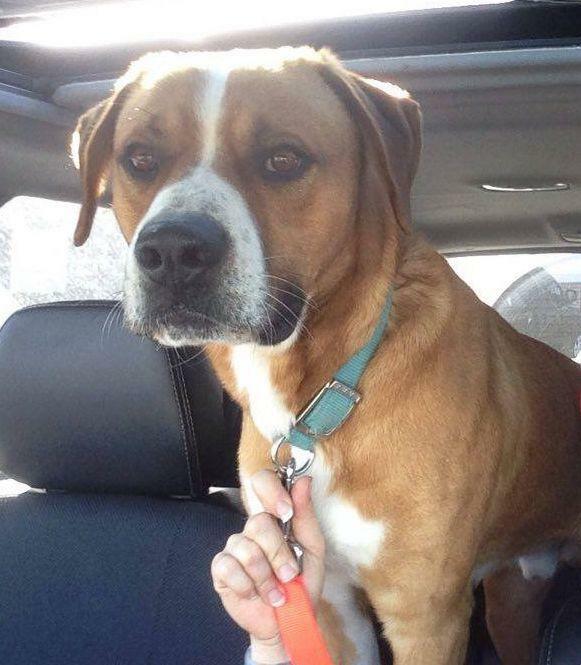 He loves companionship & cuddles, but also is an athletic dog who would be a great running partner. Always wanting to please, Joker is a devoted & loyal boy who would love nothing more than to please his person or family. He is fine with other pets including dogs & cats, but focuses on his people. He has met children of all ages & loved getting pets & hugs from them. 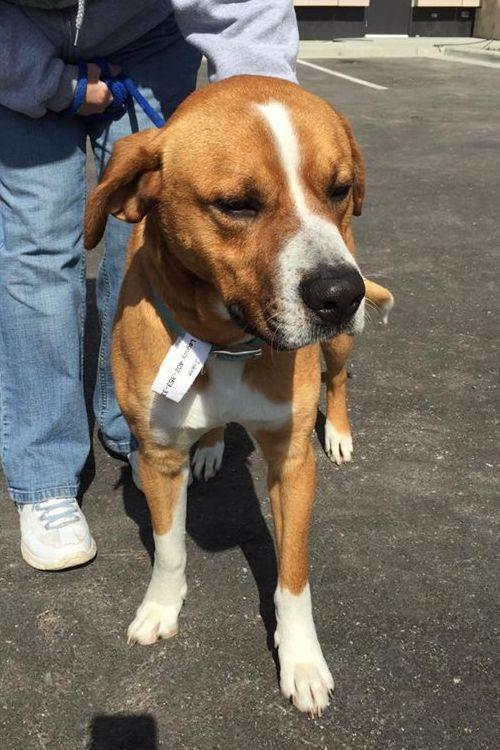 Joker is 9 months old, weighs 75 lbs, and appears to be a Boxer/Hound/Labrador mix (our best guess!). Joker is neutered, vaccinated, microchipped, given flea/tick preventative & dewormed. Adoption fee is $300 . For adoption guidelines and to submit an application, please go to this link: http://dollyslegacyanimalrescue.org/adopt/ We are a foster-home based rescue group and do not have a facility. The first step is to have you complete our online adoption application. All adoption appointments are scheduled after your application has been approved. We are 100% volunteers & will generally reply within 3 days of application submission. PLEASE be sure to answer all questions completely or it will delay processing, be sure to include vet phone#. If you have any questions please email DollysLegacy@aol.com. Please 'LIKE' our facebook page to learn more about our rescue, see more pictures & get updates on all our adoptable pets!